UPDATED ON FEB. 19 — The lecture scheduled for Feb. 19 has been postponed until March 19 – apologies for any inconvenience. Global migration, cyber conflict, nuclear arms negotiations, and much more will be explored in the World Affairs Council’s spring 2019 Great Decisions lecture series at UNC Asheville, which begins Feb. 5. The lectures take place at 7:30 p.m. on six consecutive Tuesday evenings in the university’s Reuter Center, in the Manheimer Room. Feb. 5 – Refugees and Global Migration – Human rights scholar Mark Gibney, UNC Asheville’s Carol G. Belk Distinguished Professor in Humanities and professor of political science, will address many questions, including: Who determines whether someone is a refugee or a migrant? How have different countries, including the U.S., reacted to migration? How effective are the international laws, policies and organizations that have evolved to assist and protect refugees and migrants? Feb. 12– Cyber Conflict and Geopolitics – Security analyst Mike Duncan will share insight on the developing threat of cyber conflict and whether the U.S. is sufficiently prepared. 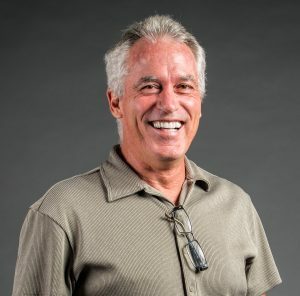 Duncan, currently at Humana, has also worked at Wells Fargo, the NASA Goddard Space Flight Center and NOAA, the National Oceanic and Atmospheric Administration. Feb. 19– THIS EVENT HAS BEEN MOVED TO MARCH 19 – The Rise of Populism in Europe – John Plant, a defense analyst and scholar of demographics and population change, will examine the role of immigration as a driver of BREXIT and the rise of populist and far-right parties in Europe, and then discuss the implications of these political shifts for the U.S. Plant, who has a Ph.D. in public policy from George Mason University, was a 20-year active-duty officer in the U.S. Army, and served as an advisor to the Czech Republic’s Ministry of Defense. He now works at Kriticos Solutions Group as a proposal author for defense contractors. Feb. 26– The Middle East: Regional Disorder? 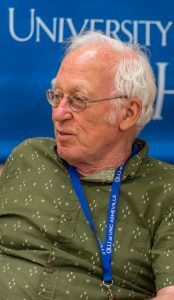 – International and religious studies scholar Thomas Sanders will examine Trump Administration stances toward Middle Eastern nations, and actions such as moving the U.S. embassy in Israel to Jerusalem, and withdrawing from the multi-national nuclear agreement with Iran. Sanders, a former Brown University professor, has concentrated on the Muslim world in his retirement, spending time in Turkey and Egypt, learning Turkish and Arabic. March 5– Nuclear Negotiations: Back to the Future? 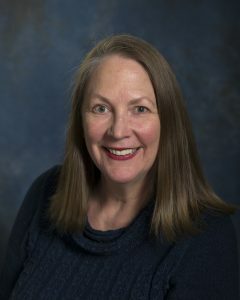 – Retired UNC Asheville faculty member Dot Sulock will look at the Trump Administration’s approach to nuclear talks, including the summit with North Korea’s leader, meetings with Russia about the START Treaty, and withdrawing from the agreement with Iran. Sulock, a former lecturer in mathematics, also taught international studies courses at UNC Asheville focusing on nuclear weapons policy. March 12– Decoding U.S.-China Trade – Julie Snyder, a retired U.S. foreign trade official, will provide a critique of the statistics used to measure U.S.-China trade, arguing that the numbers provide a misleading picture of the relationship that hinders sound policy-making. Snyder says the U.S. has unused options available to fare better in the trade relationship. Snyder is a retired U.S. diplomat who worked in the field of international trade for over 30 years for the U.S. and Foreign Commercial Service, a small foreign affairs agency within the U.S. Department of Commerce. MARCH 19 – (rescheduled from Feb. 19) The Rise of Populism in Europe – John Plant, a defense analyst and scholar of demographics and population change, will examine the role of immigration as a driver of BREXIT and the rise of populist and far-right parties in Europe, and then discuss the implications of these political shifts for the U.S. Plant, who has a Ph.D. in public policy from George Mason University, was a 20-year active-duty officer in the U.S. Army, and served as an advisor to the Czech Republic’s Ministry of Defense. He now works at Kriticos Solutions Group as a proposal author for defense contractors. The Great Decisions series is sponsored by the WNC chapter of the World Affairs Council, the Osher Lifelong Learning Institute (OLLI) at UNC Asheville, and the university’s Department of Political Science. Admission to World Affairs Council presentations at UNC Asheville is $10 for the public; free to members of the World Affairs Council and UNC Asheville students. For more information, visit the World Affairs Council of WNC website, OLLI’s website or call 828.251.6140.